Since the inception of the California Naturalist program in 2012, we have been committed to embracing inclusion in all its forms and creating an open, diverse, and equitable community. It is embedded in our mission to foster a diverse community of naturalists and promote stewardship of California's natural resources through education and service. With 10 bioregions and over 39 million people, California is a diverse state naturally and culturally, and we are striving to provide greater access for underserved populations to this new statewide education and service program. There are several ways in which we're addressing this critical work. One approach is identifying gaps in who we're reaching so we can prioritize filling those gaps. Using GIS to integrate environment, health and socioeconomic data from Cal Enviroscreen, the program prioritizes gaps in our geographic coverage and areas with the most disadvantaged communities. To reach these communities we are working to expand partnerships with community colleges and organizations offering workforce development. California Naturalist certification can be integrated into a college course and to engage students embarking on their careers or those learning new skills for a change in career or work. For example, Pasadena City College offers certification as a part of their field biology class. Students gain valuable hands-on experiences, build their resume, and make connections to the wider naturalist community. 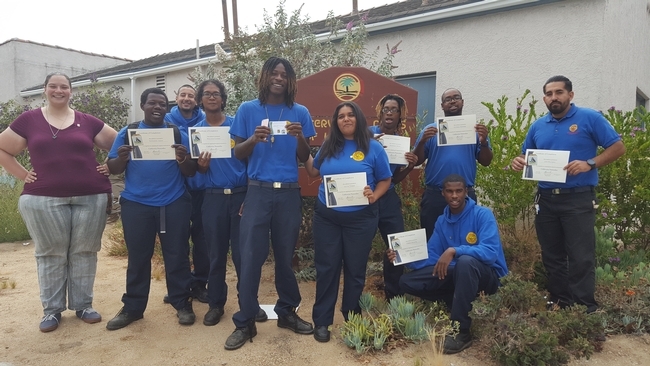 National Forest Foundation conducts California Naturalist courses in conjunction with young adult leadership development programs, which enhances seasonal work assignments as interpreters and stewards with the US Forest Service in Southern California. We also work with institutions that focus on training young underserved adults. For instance, Mountains Recreation and Conservation Authority (MRCA) in Greater Los Angeles incorporated California Naturalist into “Bridge to Park Careers,” a competitive 20-week training program that equipped young adults from urban areas with knowledge and multiple certifications needed to secure jobs as educators and naturalists with park agencies. We maintain this program partnership with nonprofit Community Nature Connection, who continues the educational programming previously conducted under MRCA. Finally, scholarships are available in many locations to cover program fees for participants. To further increase scholarship opportunities, we are excited to announce our newest initiative, the California Naturalist Scholarship Fund. The fund will help break down barriers people face in accessing the program, off-set course participation costs, and ultimately build a more inclusive community of naturalists. In 2016, 29 percent of California Naturalist course participants and 21 percent of statewide conference attendees received a need-based scholarship to attend courses and training events. 2018 holds much promise for strengthening our commitment to inclusion. As we enter the holiday season and prepare for the new year, please consider giving the gift of knowledge and the spark of curiosity. Together we can help protect and preserve nature by engaging more Californians in stewardship, discovery, and action. 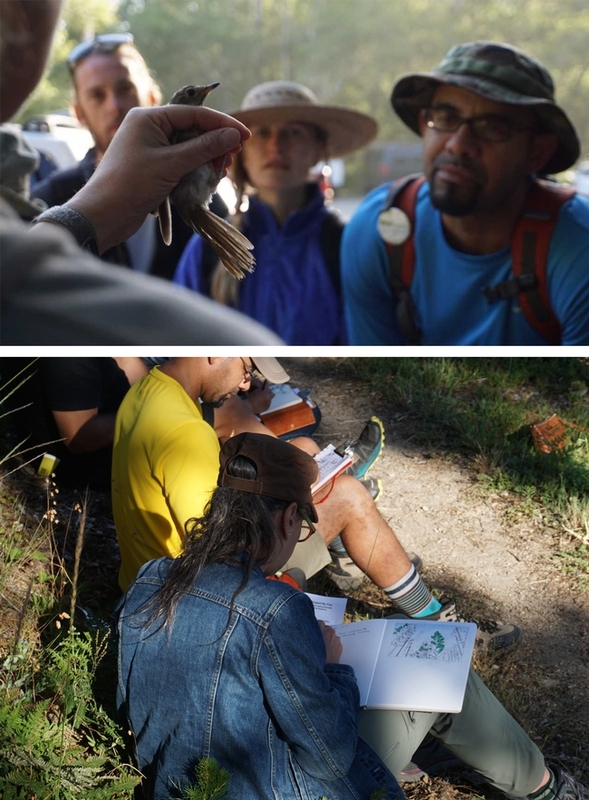 The 2017 SPAWN (Salmon Protection & Watershed Network) California Naturalist course was designed to support more diverse leadership development in Bay Area parks and environmental education programs. It was geared toward teachers and educators. Good morning! I work at a Cooperative Extension Office, with ANR, in Glenn County and I was forwarded your Annual Report by our County Director. I see that you work with the Nation Forest Foundation and have a course for yound adults. It looks like this is a summer work program with the US Forest Service. My son is going to be a senior in High School next school year and his career goal is to work with the US Forest Service. I would like more information on this course. I would like to try and get him enrolled and possibly utilize the scholarship program, as well. Please let me know what the qualifications are for this course and how to get him enrolled. Thank you very much!! Hello Starryne, Thanks for your interest in the program! Currently, the National Forest Foundation offers California Naturalist courses in Southern California. More information on their courses can be found here: http://calnat.ucanr.edu/Take_a_class/NFF/">http://calnat.ucanr.edu/Take_a_class/NFF/. To find a course offering near you, please visit: http://calnat.ucanr.edu/Take_a_class/. Select partner organizations offer scholarships. Please let me know if you have any additional questions.